I KNEW IT!!! I knew HE was The Traitor King. And no, I don't mean the Nightmare King is the traitor – just that we finally discover the traitor's identity. As for Addie and Nick's journey... I don't even know where to begin. I loved Addie's character – her social awkwardness made her easy to identify with, and that she didn't allow her wealth to change who she was at her core, her soul, is what makes her perfect for the Nightmare King. It's both beautiful and terrible that anyone had to endure what she did in order to be the perfect person to become queen – terrible in what she endured, but beautiful in that it truly made her a stronger person and more deserving of her fate. 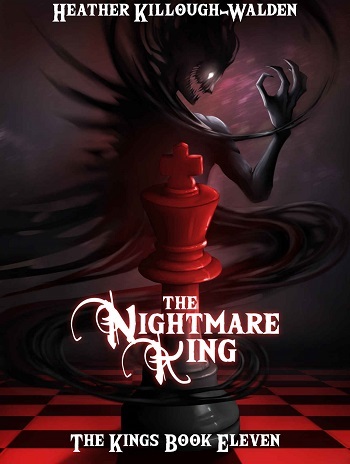 What we learn about the Nightmare King and the Challenger is just astounding. I'm not up on incubus legends, so Nick's portion of the story was extremely fascinating for me because whether the author drew from already established legends or created Nick's circumstances all on her own, I was riveted. I could not read fast enough to learn how Nick and Addie's battle with The Entity would play out because I was trying to savor each morsel of information along the way. And that ending... oh my goodness, I did not see that coming. NONE OF IT! And now I must wait for the next installment in the series, which promises to be an exciting one as even more secrets wait to be revealed. I'd apologize for the vague review, but I wouldn't want to ruin The Nightmare King for another reader. It was excellent. Visit Heather’s website, where you can sign up for her newsletter. Also, be sure to keep in touch with her and other fans through her Facebook page and Twitter! 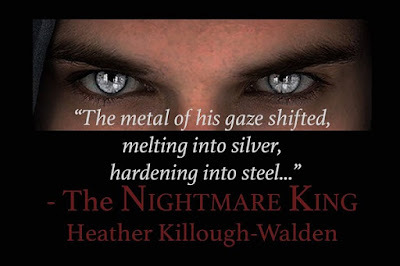 Angela reviewed her personal copy of The Nightmare King (The Kings #11) by Heather Killough-Walden for this post.